Teens with dreams of an art career and high school students working on an application to art school are invited to show off their portfolios to a roster of colleges on Friday in Hyde Park. 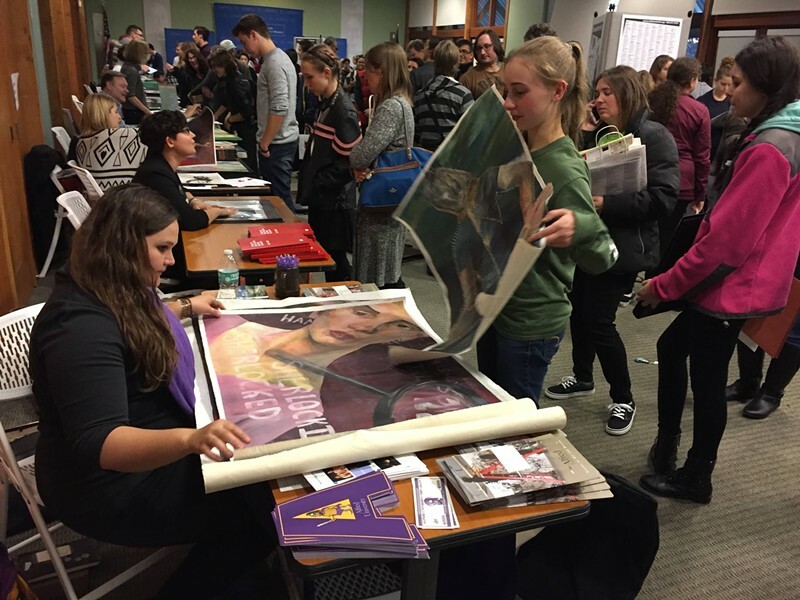 The 16th Hudson Valley Regional Portfolio Day on Friday, November 3rd, is a great opportunity for young artists to gather feedback from professional representatives from some of the best colleges in the nation. Hudson Valley Regional Portfolio Day is hosted by the Art Institute of Mill Street Loft in Poughkeepsie. The Art Institute is a pre-college portfolio program for teenagers ages 14-19, who are interested in pursuing college degrees in the arts and careers in the visual arts. Classes are held year around in fall and spring semesters with two-week long summer intensives where motivated teens develop their ideas and build skills in the visual and media arts. Students learn how to strengthen their portfolios and explore advanced art techniques, presentation, critique, skills development, composition, emotionalism and advanced concept. The portfolio day is an extension of the work that the Art Institute does. Upon arrival at the Portfolio Day at the Henry A. Wallace Center at the FDR Presidential Library and Museum in Hyde Park, students can register at the information desk for appointments with college representatives from places like RISD, SVA, Maine College of Art, and Pratt. Reps will use the review time to interview potential applicants and provide essential information about a student’s artistic development and career plans. Students can also visit with the faculty of the Art Institute and learn more about their program. It’s free and open to all high school and college students, and their teachers! Hudson Valley Regional Portfolio Day at the The Henry A. Wallace Center at the FDR Presidential Library & Museum, 4079 Albany Post Road in Hyde Park: Friday, November 3, 2017; 4:00-8:00pm; free! Don’t miss the Reel Expressions International Teen Film Festival hosted by Mill Street Loft Arts and Spark Media Project on Friday, November 10th, from 5:00 - 7:30 pm at the Bardavon 1869 Opera House in Poughkeepsie. It’s a showcase of teen-created films and animations from all over the world. Get FREE tickets online.